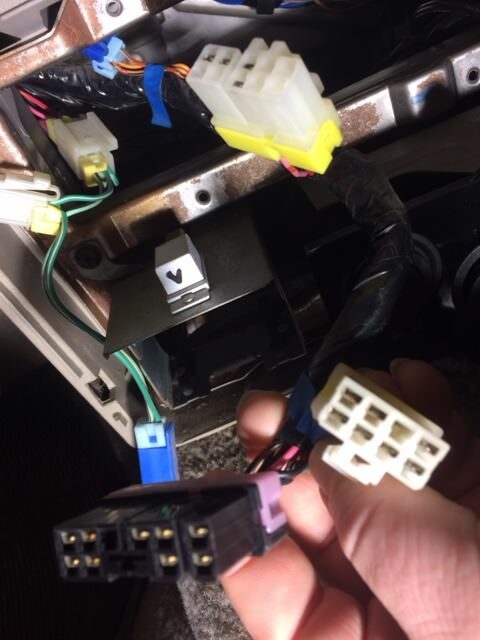 Hey guys, tried to install a new radio this weekend to find out the adapter harness I bought does not really fit the car. I have power to the deck but the little 6 pin connector that is for the speakers does not fit anything on the car harness. 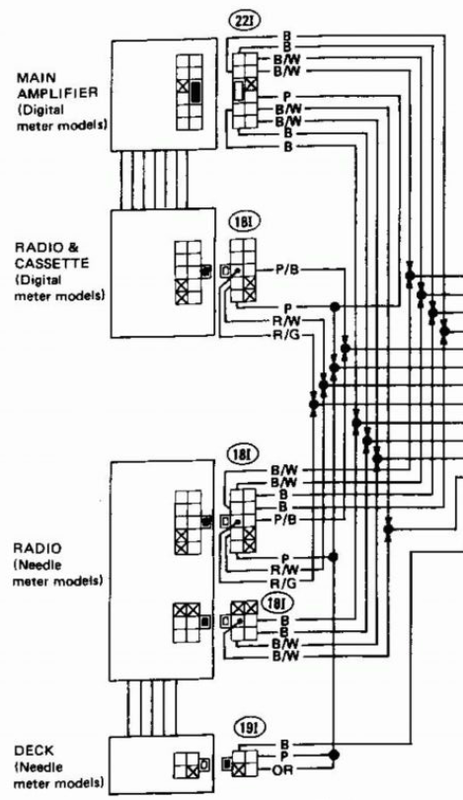 Looking at the schematic in the book shows the digital dash having its own connector that goes to the EQ box and then one for the radio. 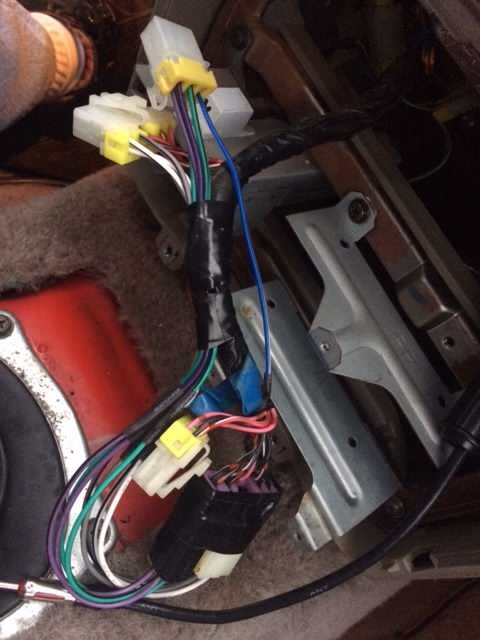 It seams the car harness is made for both models (needle or digital dash) but my speaker plug is a 6 pin from the adapter harness and the one on car is an 8 pin. Maybe the 6 pin connector is hiding in there somewhere but I did not see it. Does anyone know if they make a digital dash radio adapter harness? Not sure I'm understanding your situation completely, but are you using the the adapters mentioned in the sticky? Yes I am using the metra 71-1763 adapter. It has the 10 pin main connector and then the 6 pin secondary connector. The car harness has the 10 pin main connector but also has a 8 pin secondary connector. Then it also has a black 12 pin main connector that actually went into the equalizer. The issue is that the digital dash 10 pin connector only has a few of the pins filled out not the same as the 10 pin from the needle dash. Most of the wires go into the black 12 pin connector. I may just not be seeing those other connectors. I need to look again but I did not see them. Maybe they are strapped back somewhere. So took out the radio again last night and could not find the other connectors. So I guess they make two different harnesses. One harness for the needle gauge dash and one for the digital dash. It weird that they would only make a adapter kit for one style. So I guess I am going to have to buy and adapter for my adapter, LOL. They do sell the harness side connectors as an adapter. Take that and find what pins I can use to plug into the harness adapter to make it work. Here are some pics of the connectors I have on the car. In this one you can see I have only 4 pins filled out. 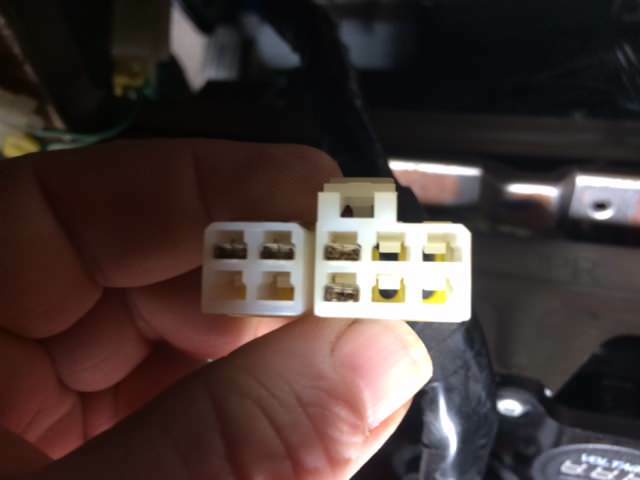 This is the main connector that would be going to the radio on the needle dash harness. This is where most of the wires should be and this is what the adapter harness connects to. Let me know if you guys have any ideas on this. I ordered two more adapter harnesses. One was the female version and the other one was the male version. Looking at the schematic the black connector that goes into the equalizer/amp has mainly all the speaker wires and then one power wire. The radio connector mainly had the power and amp turn on wires in it on my version. So I took the female connector and cut it so I could use it to hold the pins into the black connector. 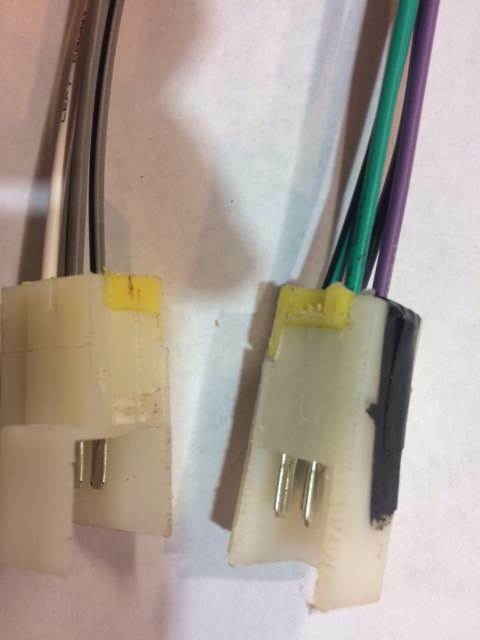 The black connector is a 12 pin and the female white connector is a 10 pin. Then I put back in all the pins and matched them up with the correct speaker outputs. I taped it to the black connector so it would not fall out because it does not have a clip to hold it in place. 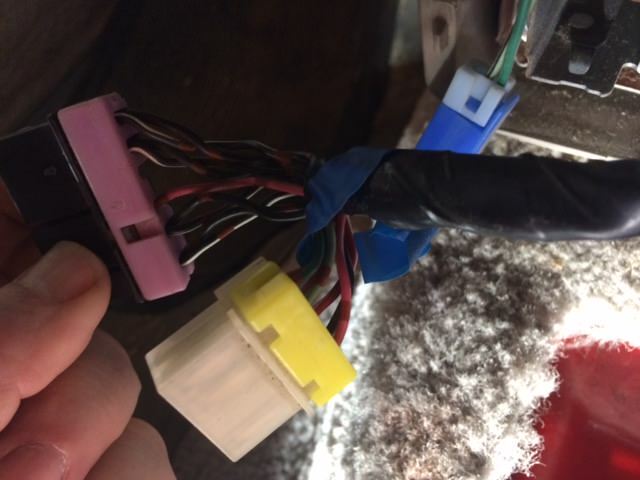 From this cut connector I ran the 4 speaker wires into the white 10 pin that is part of my car harness and then I rand the other 4 into the 6 pin connector that comes with the jumper kit. The all I had to do is plug in my jumper that I soldered to my new radio harness. Everything works perfect now. I still can't believe someone else did not run into this problem. 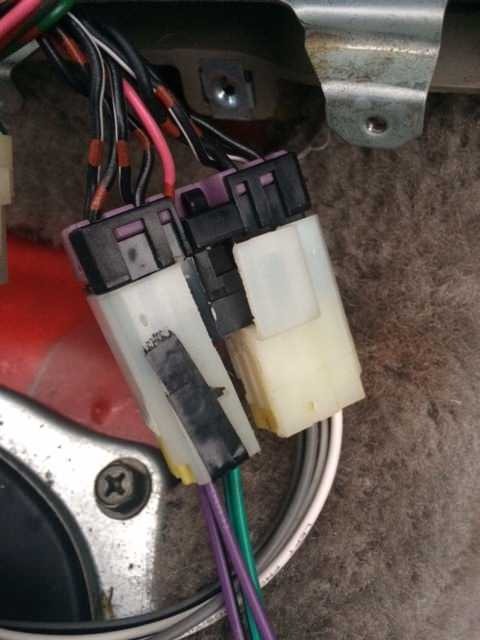 Also I search through 3 harness manufacturers and they all show only the white 10 pin and the white 6 pin connectors for all the cars in the 80s. So I might have a goofball harness or they just did not worry about making one because the demand was not there. I don't know. But it works and all is good. Later I will be putting new speakers in and running everything off separate amps. But for now I needed some music. Actually the stock speakers sound real good with the new deck. Nice to see a clean repair vs spaghetti wires & smoke everywhere! I hate when people chop up harnesses. It would have been a pain if those wires were cut up. All the speaker wires are the same color so you have no idea what goes where. That is why I like these jumper adapters. I have always used them in all my cars.